Becky Brandon (nee Bloomwood) thought motherhood would be a breeze and that having a daughter was a dream come true - a shopping friend for life! But it's trickier than she thought - two-year-old Minnie has a quite different approach to shopping. She can create havoc everywhere from Harrods to Harvey Nicks to her own christening. She hires taxis at random, her favourite word is 'Mine', and she's even started bidding for designer bags on ebay. On top of everything else, there's a big financial crisis. People are having to Cut Back - including all of Becky's personal shopping clients - and she and Luke are still living with Becky's Mum and Dad. To cheer everyone up, Becky decides to throw a surprise birthday party - on a budget - but then things become really complicated. Who will end up on the naughty step, who will get a gold star and will Becky's secret wishes come true? 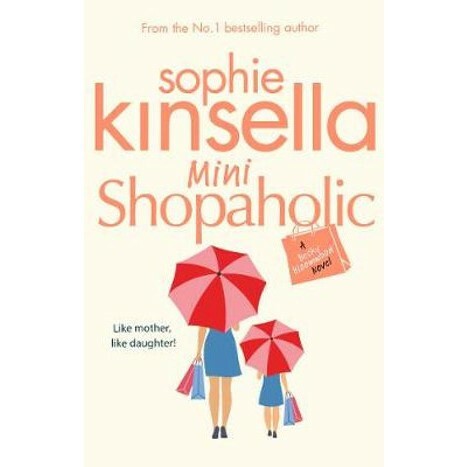 Sophie Kinsella is an international bestselling writer and former financial journalist. She is the author of nine number one bestselling novels including the fabulously popular Shopaholic series, the first of which is now the hit Hollywood movie Confessions of a Shopaholic. She is also the author of several bestselling novels under the name of Madeleine Wickham. She lives in London with her husband and family.